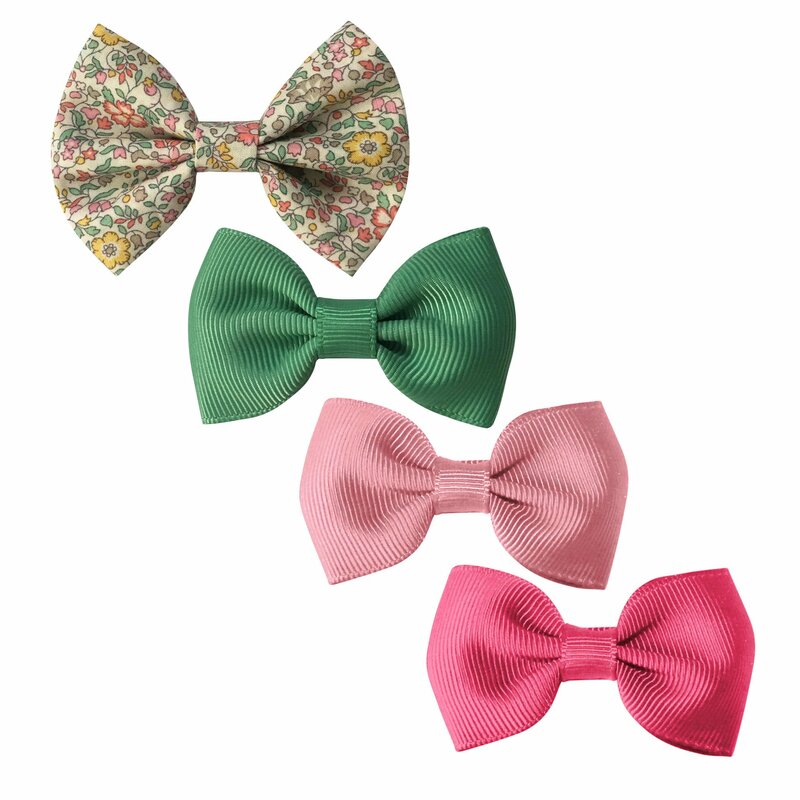 Cute gift set containing 4 Milledeux® small bowtie bows – 1 in authentic Liberty of London fabric and 3 in grosgrain. 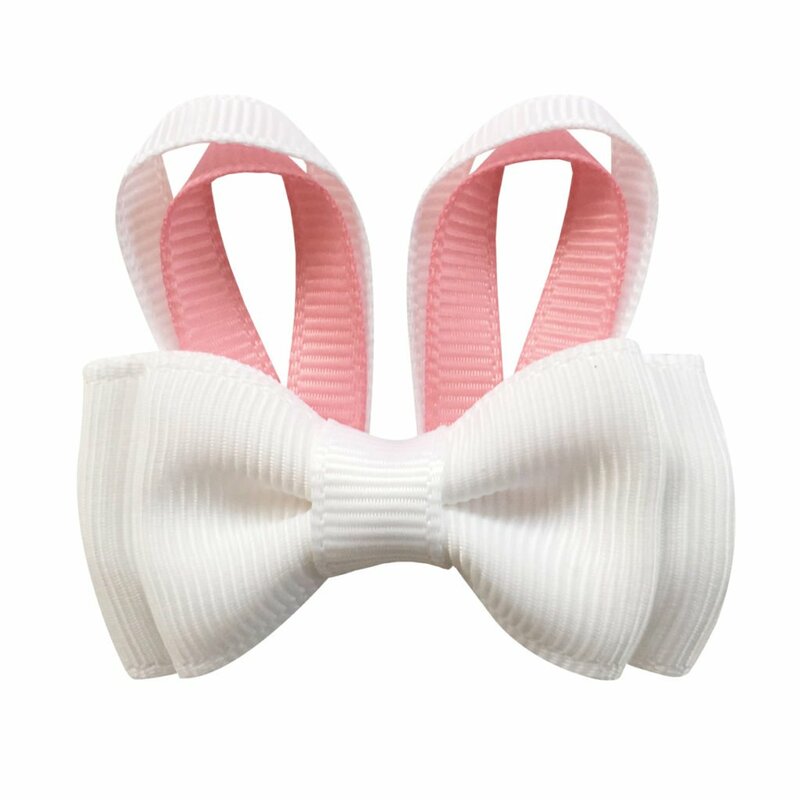 The Milledeux® small fabric bowtie bow is on grosgrain covered alligator clip. The gift set comes on our adorable Liberty Collection card with gold accents, in a cellophane bag and with a Liberty Collection print sticker. It makes the perfect gift item. 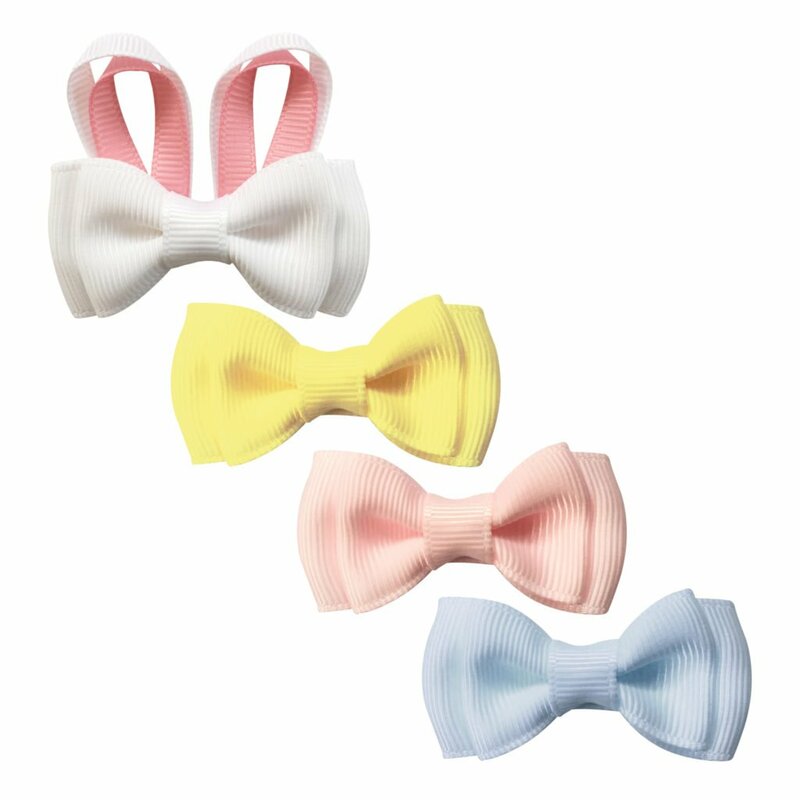 The ribbon used is OEKO-TEX® and all metal is nickel free. 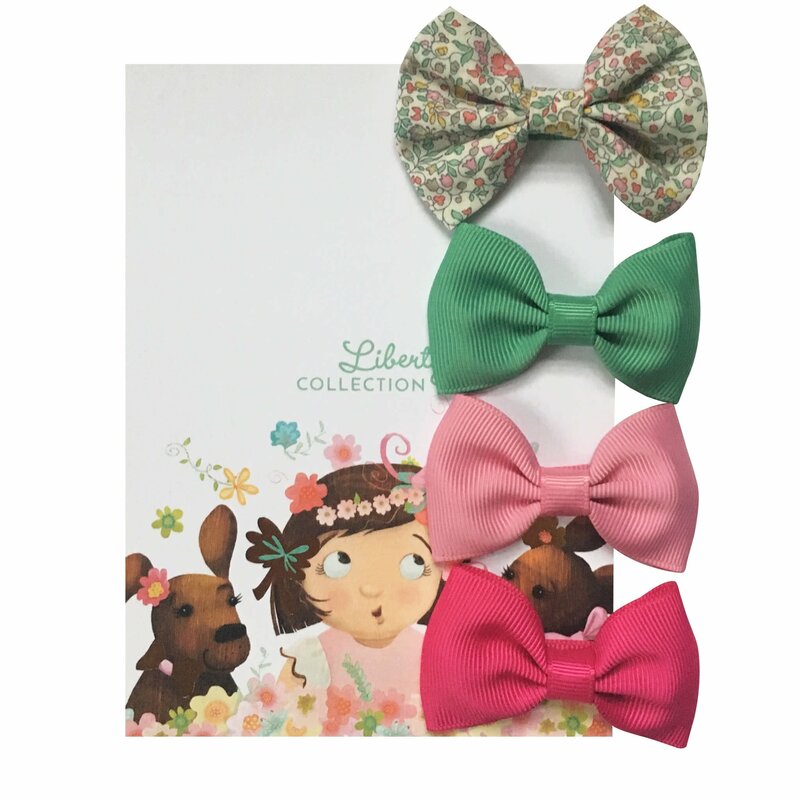 We use only the best hair stylist grade clips, which a durable and very high quality. 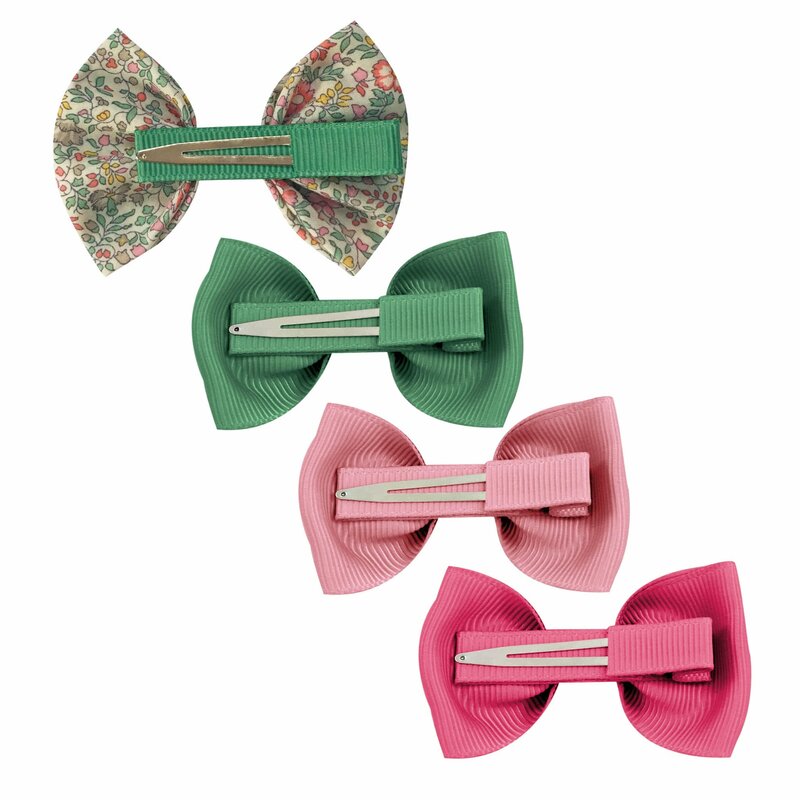 The alligator clip measures 4.5 cm ( 1.8 inches) and the bow is approximately 4 x 6.8 cm (1.6 x 2.5 inches). All of Milledeux® products are hand-made, and as such, we cannot guarantee that two products are exactly alike, even if they are the same style and color.